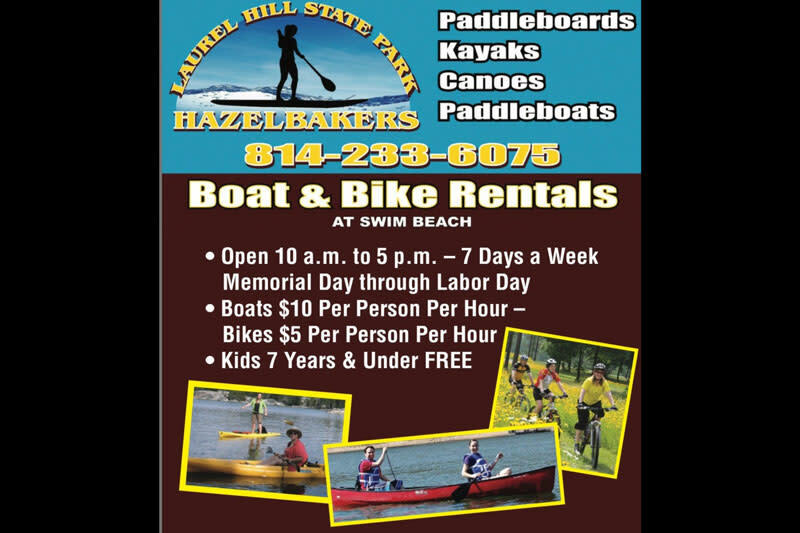 Hazelbaker's has a second location at Laurel Hill State Park near Seven Springs, PA. Come out and rent one of a number of different watercraft and enjoy the big lake at Laurel Hill. 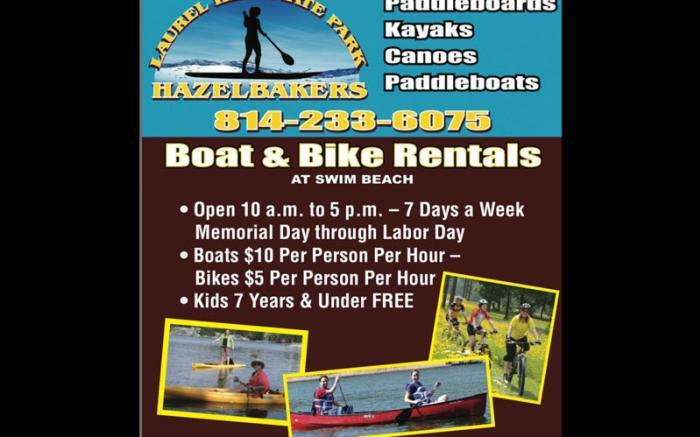 Boat rentals prices are $10.00 per person per hour, bikes are $5.00 per hour. Kids 7 years old and younger are free with a paying adult 18 years and older. Open 7 days a week, 10:00am until 5:00pm. Last rentals at 5:00pm and must return equipment by 6:00pm, no exceptions.